Polaris Part # 2879791. MATERIAL: Durable, premium polyester construction; treated to repel water and prevent UV degradation. These durable Polyester Covers provide excellent protection during storage and trailering. POLARIS PART # 5333772. -Polaris Part #5333772. 2002 600 RMK 136 BUILT BEFORE 3/1/01 (S02NJ6ES) - Steering. 2000 440 XC SP (S00NX4CS) - Steering. 2000 600 XC SP EDGE (S00NP6ES) - Steering. 2001 500 INDY (S01NB4BS) - Steering. Part #7078465. 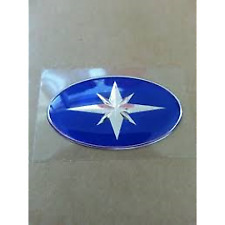 Genuine Polaris Decal. Cylinder head removed from a Polaris ultra 680 engine. Cylinder is in good used condition. The head is stamped with a “k” and has 01 by the spark plug hole. Be sure the head you are replacing has a k stumped on it. The domes were different depending on triple pipes/single, spx/sp etc. heads were designed for each application and should not be interchanged. POLARIS P# 2878780. FOR ALL AXYS 600/800 ENGINES, ALL PRO-RIDE, ALL IQ. The RCA Power Plug includes all hardware required to add an RCA outlet. 1- black pipe side vent. 1- black clutch side vent. 2016-2018 Polaris Axys Chassis. Bumper tab bracket toreinforce the tab and bumper to prevent failure. Sold as a pair! 2016-2018 Polaris Axys Chassis. Bumper tab bracket to replace the broken tab.This order it for both sides. 1996-2003 XCR 600 sp XCR 700 XCR 800 Ultra sp 780 SPX 780 Touring 780. This pump has the sight glass for the 96 models requiring oil fill. Removed from a 2005 Polaris rmk 900. Sign up for my email newsletters by adding my eBay Store to your Favorites Check out my other items! Be sure to add me to your favorites list! POLARIS PURE OEM NOS SNOWMOBILE FUEL VAPOR SEPARATOR KIT 2520824 5412952 7081151 2203566 SNOWMOBILE & ATV For parts look up copy and paste : polarisind© AP6.0 You can always Google this part to find out more info or talk to a dealer. Lots of different parts are listed for many different machines. I AM A SERIOUS E BAYER AND I HOPE YOU ARE AS WELL!!! PLEASE LET ME KNOW IF YOU ARE NOT HAPPY OR DO NOT WANT TO LEAVE 55555555555 START FEEDBACK! THIS IS HAS IMPORTANT TO ME AS THE SALE! I don’t know if it will fit yours so for sure - Please check with your local dealer to see if it will before you buy. Canadian shipments NOW qualify for free freight via Erlanger Kentucky. SKU# 2877883. Pure Polaris VES II Synthetic 2-Cycle Oil has all the features of our original VES Synthetic 2-Cycle Oil. In addition it is a cleaner burning, smokeless oil designed to improve exhaust valve performance. 2002 700 SKS S02SS7CS. 2002 800 RMK F/O 144 S02NK8CS. 2002 700 RMK F/O 151 S02NL7CS. 2002 700 RMK 136 S02NJ7CS. 2002 700 RMK F/O 144 BUILT AFTER 3/1/01 S02NK7CS. 2002 800 RMK F/O 151 BUILT AFTER 3/1/01 S02NL8CS. Axys seat cover all black with white lettering. This is a Xtra 10 mounting plate and new bolt kit. Polaris Part # 1523084. 2019 XP 1000 Ranger Crew. 2018-2019 Polaris XP 1000 Ranger. HIT-THE-GAS is a factory authorized dealer for Polaris ATVs, Rangers, parts, and accessories. Removable high-visibility liner, a laptop sleeve, a tablet sleeve, and an organization panel with two secure zipper pockets and pen sleeves. Our E-Sales. 440 XCR SP (099NX4CS) 1999. 700 XCR (099AB7BS) 1999. 800 XCR (099AB8AS) 1999. 800 XCR (S00SB8AS) 2000. 800 XCR (S01SB8AS) 2001. included 2 (TWO) bellows as pictured. 800 XCR (S02SB8AS) 2002. 800 XCR (S03SB8AS) 2003. Polaris Part # 2882117. Polaris Underhood Google Bag kit. This is for a NEW kit. CYLINDER HAS BEEN RE-PLATED AND HONED TO ORIGINAL STANDARD CONDITION. YOU WILL RECEIVE EXACTLY WHAT YOU SEE PICTURED. THIS IS NOT A FILE PHOTO. PISTON: 2201558. PISTON: 2202337. POLARIS 800 NEED A CRANKSHAFT, GASKETS, PISTONS, OR CAN'T FIND A REBUILD KIT FOR YOUR YEAR AND MODEL?. 1999 Polaris XC 700 Decal kit. Polaris Part # 3021064. S01ND8BS 800 LE 2001 CYLINDER - S01ND8BS (4962426242C007) 3021064 CYLINDER-85MM,SNOW. S01NP8BS 800 XC SP 2001 CYLINDER - S01NP8BS (4961106110C007) 3021064 CYLINDER-85MM,SNOW. 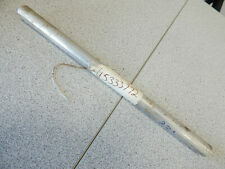 S01NP8BSB 800 XC SP 2001 CYLINDER - S01NP8BS (4961106110C007) 3021064 CYLINDER-85MM,SNOW. Dragon Switchback 600, 2008-2010. SwitchBack 600, 2008-2011. RMK 600, 2008-2011. RMK Shift 600, 2009. Dragon IQ 600, 2008. IQ 600, 2007-2015. IQ Shift 600, 2009-2012. IQ Touring 600, 2007-2010. Part Number: 5433534. Genuine POLARIS OEM Key Ignition Cover. 2008 700 SWITCHBACK. 2007-2010 700 RMK. 2007-2010 700 DRAGON. WE ARE HERE TO HELP YOU! 2004 550 550 2003 550 CLASSIC AFTER 8/13/2002 2004 550 CLASSIC 2005 550 CLASSIC 2004 550 SPORT TOURING 2003 550 SUPER SPORT AFTER 8/13/2002 2004 550 SUPER SPORT 2005 550 SUPER SPORT 2006 550 SUPER SPORT 2004 550 TRAIL RMK/TOURING 2005 550 TOURING/DELUXE 2006 550 TOURING/DELUXE. 800 RMK (2000). 800 RMK 144 (2001). 800 RMK 151 (2001). 800 RMK SP 151 (2001). 800 RMK SP 144 (2001). 800 RMK F/O 144 (2002). 800 RMK F/O 151 BUILT AFTER 3/1/01 (2002). 800 RMK F/O 151 BUILT BEFORE 3/1/01 (2002). Polaris Part # 1240312. S07PP7FS/PP7FSA/PP7FE/PD7 FST IQ/LX 2007 OIL COOLING SYSTEM - S07PP7FS/PP7FSA/PP7FE/PD7FS/PD7FE (49SNOWOILTANKFSTOUR) 1240312 Cooler, Oil. S07PP7FS/PP7FSA/PP7FE/PD7 FST IQ/LX 2007 COOLING - S07PP7FS/PP7FSA/PP7FE/PD7FS/PD7FE (49SNOWCOOLINGFSTIQ) 1240312 Cooler, Oil. Part # 3211042. It is unused as it was a spare belt. Item # 4011026. T19AAPF/AARF/AASF SLINGSHOT ALL OPTIONS (R02) 2019 ELECTRICAL, COMPONENTS - T19AAPF/AARF/AASF ALL OPTIONS (500073) 4011026 SWITCH, ROLLOVER. T19AAPFAAY/ABY/ACY SLINGSHOT GT LIMITED EDITION (BLACK CRYSTAL) (R02) 2019 ELECTRICAL, COMPONENTS - T19AAPFAAY/ABY/ACY (500073) 4011026 SWITCH, ROLLOVER. 1997 Polaris XCR 600 --. 1997 Polaris XCR 600 SE. 1996 Polaris XCR 600 --. 1995 Polaris XCR 600 --. 1996 Polaris XCR SP 600 --. 1997 Polaris XLT RMK. 1996 Polaris XLT RMK. 1995 Polaris XLT RMK. Polaris plug and converts it to a common OBD2 plug. POLARIS CODE READER DIGITAL WRENCH ADAPTER to OBDII. Polaris has a 4-pin square digital wrench connector (like the one pictured! )., this could also work for you! 2005 Polaris RMK 800 144in. 2005 Polaris RMK 800 151in. 2005 Polaris RMK 800 159in. 2004 Polaris RMK 800 144in. 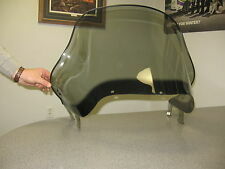 2004 Polaris RMK 800 151in. 2004 Polaris RMK 800 159in. 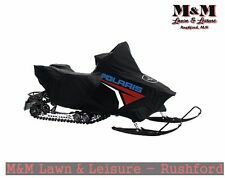 2003 Polaris RMK 800 144in. 2003 Polaris RMK 800 151in. Polaris has been manufacturing snowmobiles since 1954. With the availability and production of OEM and aftermarket motor parts, riders are able to utilize these vehicles to their max potential. Parts such as gasket kits, clutch rollers, drive belts, and exhaust springs go a long way toward keeping these snowmobiles in drivable condition. What is included in a Polaris snowmobile gasket kit? Are Polaris snowmobile motor parts interchangeable for vehicle models? There are some motor parts that are interchangeable from one model snowmobile to another. However, before obtaining parts for your Polaris snowmobile that are not standard for the vehicle, it is recommended to obtain this information from your vehicle owner's manual. When should a snowmobile drive belt be changed? How can you select components or accessories? Not all Polaris snowmobile parts are interchangeable between machine years. Certain components are designed to fit with only a certain number of snowmobiles; these components usually coincide with the year a particular snowmobile motor model was released. If you are unsure of the motor model number you have, consult the vehicle owner's manual. 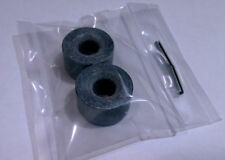 There may be OEM parts suitable for replacement on the snowmobile. Always consult your user manual before purchasing parts to ensure that you’re purchasing the correct items. What are some commonly purchased Polaris engine components? Pumps - Pumps are responsible for sending fluid through the vehicle to their intended part or component for proper operation of the vehicle. Gauges - Gauges are critical for reading the output levels of your snowmobile's motor. Gaskets - Gaskets are rubber seals that are regularly replaced within a typical maintenance schedule. Content provided for informational purposes only. eBay is not affiliated with or endorsed by Polaris.